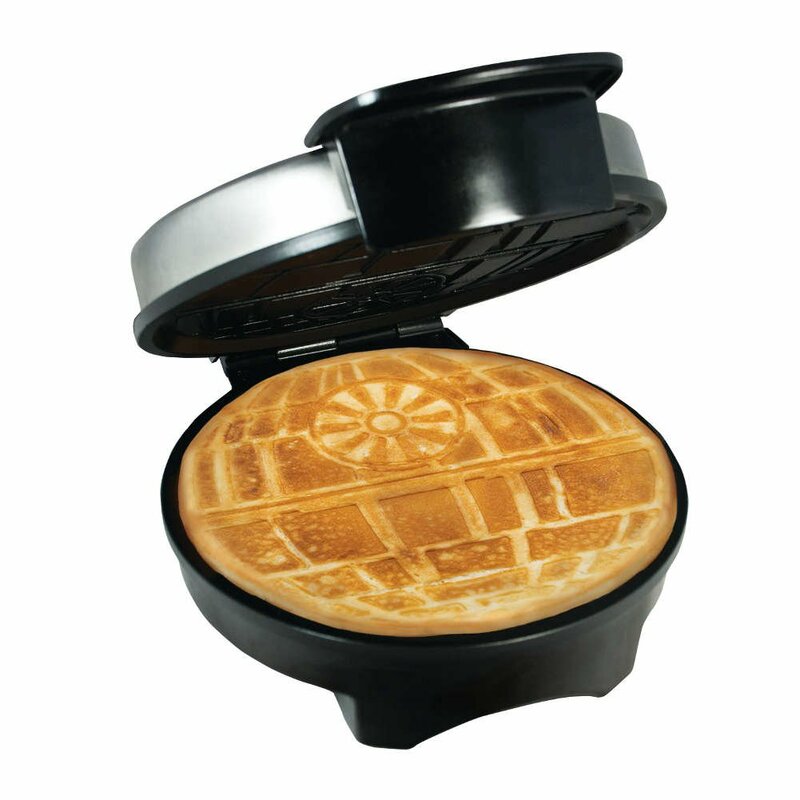 Exclusive Star Wars Death Star Waffle Maker - Officially Licensed Waffle Iron, with FREE 2-day Domestic Shipping! Expect great things of this battle station-like an absolutely delicious breakfast. Sing the Death Star theme song as you goose-step your way to the kitchen table, delivering a waffle made on a fully operational and armored space station. For fans of the original and rebooted Star Wars saga, it's the ultimate collectible countertop appliance, officially licensed by and approved by the Empire, with fully operational features: regulating thermostat to ensure even browning, five temp settings for preferred waffle done-ness, dual indicator light lets you know when the iron is hot and when the waffle is ready, stands upright and cord wraps under base for compact storage. Stainless steel construction. Coated non-stick waffle plate, wipes clean with damp cloth. 1 year manufacturer's warranty. UL listed. Wipe clean. 7.88" x 9.69" x 3.31".